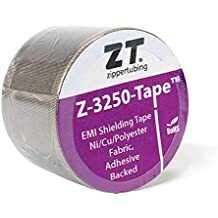 Z Wrap Dvh - Lightweight Jacketing - Wire And Cable Bundling - Products - ZT | Zippertubing Co.
0.375" 0.5" 0.625" 0.75" 0.875" 1.0" 1.125" 1.25" 1.375" 1.5" 1.625" 1.75" 1.875" 10.0" 12.0" 2.0" 2.125" 2.25" 2.375" 2.5" 2.625" 2.75" 2.875" 3.0" 3.125" 3.25" 3.375" 3.5" 3.625" 3.75" 3.875" 4.0" 6.0" 6.375" 8.0"
The thin adhesive closure allows for extremely tight cable bends since the seam area is very thin and highly flexible. 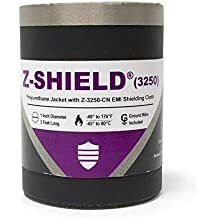 Z-Wrap is an economical, lightweight (.020") wrap around jacket system for round, flat or rectangular cables utilizing Zippertubing's type DVH-20 material and a pressure sensitive adhesive closure. A strip of high strength specially formulated Acrylic adhesive is bonded to one edge to provide a secure and flexible closure. The closure allows installation without the need for secondary tooling on assemblies that do not require re-entry and where a "pull-thru" jacket is undesirable. The thin adhesive closure allows for extremely tight cable bends since the seam area is very thin and highly flexible. The reinforced construction of Zippertubing's DVH-20 material provides good wear resistance combined with high tear strength. Z-Wrap is ideal for discrete wires, wire harnesses, hoses, and other applications where flexibility, strength and abrasion protection is needed. A wide variety of custom materials, sizes, and colors are available. Refer to Zippertubing's DVH-20 data sheet for specific material characteristics. Cable Diameter 0.375" 0.5" 0.625" 0.75" 0.875" 1.0" 1.125" 1.25" 1.375" 1.5" 1.625" 1.75" 1.875" 10.0" 12.0" 2.0" 2.125" 2.25" 2.375" 2.5" 2.625" 2.75" 2.875" 3.0" 3.125" 3.25" 3.375" 3.5" 3.625" 3.75" 3.875" 4.0" 6.0" 6.375" 8.0"